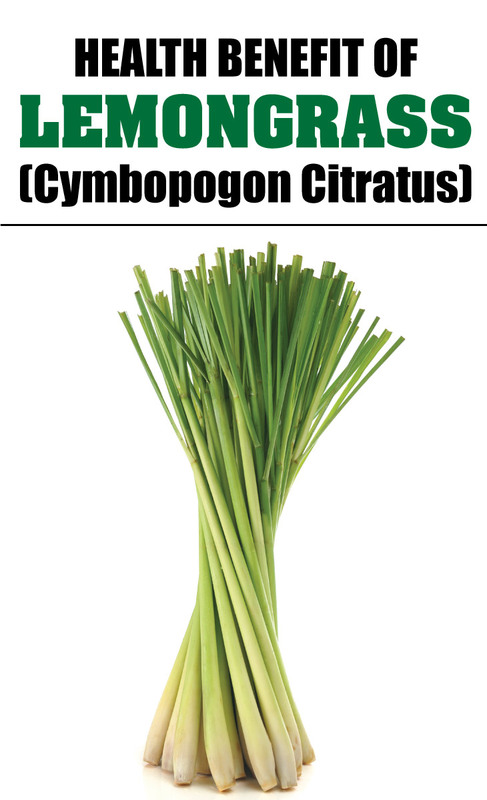 Lemongrass (Cymbopogon citratus) is widely used for its disease fighting properties and Lemongrass Benefits include its use as an effective nervine tonicis also beneficial for promoting good health. It is used in culinary dishes such as curries & soups and as a popular herb in many parts of Asia. Lemongrass is known as gandhatrin in Hindi, vasna pullu in Malayalam, lilicha in Gujarati & zacate limone in Spanish. It is a tall grass with a mild citrus taste (also used to prepare lemongrass soup) that grows all year round. Lemon grass is used in its crushed form as a powder or fresh. The best substitute for lemongrass is its powder often used to make lemongrass tea. The other lemongrass substitute is coriander & fresh ginger. Lemongrass tea is has a refreshing taste and a sweet aroma popular in the west for its herbal properties. Use of lemongrass oil can prevent excessive sweating and reduce body odor. With anti-bacterial & anti-fungal properties, lemongrass benefits in treatments of various skin conditions. It is a simple remedy to treat acidity & gas. Removal of toxic waste from the kidneys, liver, bladder & pancreas along with detoxifying your entire digestive tract may be facilitated through consumption of lemongrass tea. A daily intake of lemongrass tea may help prevent skin conditions such as acne. Lemongrass paste is often used as a substitute in place of fresh grass and it also has benefits like relieving nausea or menstrual cramps. With a refreshing aroma, lemongrass oil is used as a carminative, deodorant, nervine & tonic. The tea preparation is effective and can act as a diuretic for those with decreased urination & to maintain normal cholesterol levels. Lemongrass paste is gaining popularity in culinary dishes as it acts as a good substitute in absence of fresh of powdered form of the plant. With astringent properties lemongrass oil facilitates contraction of skin, blood vessels, hair, gums & muscles which leads to prevention of teeth loosening falling of hair. One of the significant benefits from oil of lemongrass is its use for achieving relief from panic attacks, anxiety & depression. For improving digestive health in case of constipation, lemongrass soup can come to your rescue. You can confidently refer this information to know about what is lemongrass & its health benefits.